Custom Tag Library use to make own tag in jsp by extending TagSupport class, build xml with (.tld) extension file, which specify the result would you want to use. Java Server Page (JSP) contain standard tag library @taglib for including (.tld) file. Design Pattern are best practices how to solve common know problems. This article will give an overview of best practices in object-oriented programming and has pointers to some design-pattern tutorials. Design patterns are proven solutions approaches to specific problems. A design pattern is not a framework and is not directly deployed via code. This tutorial will focus on the basic principles and mechanics of testing a REST API with live Integration Tests with a JSON Results. For an internal application, this kind of testing will usually run as a late step in a continuous Integration process, consuming the REST API after it has already been deployed. Software Development Life Cycle, or Software Development Process, defines the steps/ stages/ phases in the building of software. 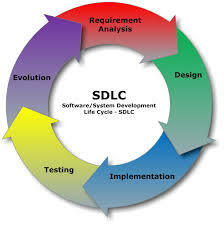 SDLC stands for software development life cycle. A software development life cycle is essentially a series of steps, or phases, that provide a model for the development and life cycle management of an application or piece of software.